Whonnock Weavers and Spinners Guild was formed in 1974. The Guild has a long tradition of encouraging a renewed interest in the age old crafts of weaving and spinning. 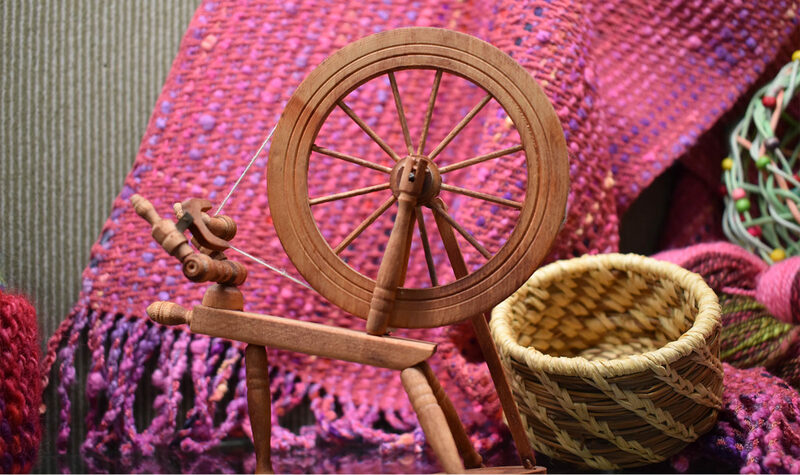 The Whonnock Weavers and Spinners Guild invites all fibre artists and those interested in fibre arts to join us and share their experiences with others. In addition to weaving and spinning, the Guild welcomes felters, knitters, basket makers, dyers, and anyone interested in these arts. Both Artists and Artisans benefit from exciting programs offered only to guild members, including demonstrations, visual presentations, slideshows, workshops, sales, and community activities. The Whonnock Weavers and Spinners meet from September to June at Whonnock Lake Centre in Whonnock, British Columbia. Whonnock is a beautiful natural area with a sense of community. Whonnock Lake Centre is located on the shores of Whonnock Lake, surrounded by parks.